The CIBB comes with great new features such as the MiniBasket Camp for kids between 10 and 11 years and a 5% discount for early purchase during the month of January. The registration for the 2015 EDP Baskonia International Camp, which will take place from June 28 to July 12 in double shifts, are now officially open for all the youngsters born between 1997 and 2003 looking to mature and refine their game in first class facilities. During the month of January, a 5 % discount will be applied to those who pay the fee before the 31st. The CIBB celebrates on 2015 its seventh edition, establishing itself as one of the nationwide leaders regarding the perfectioning work. Each summer hundreds of youngsters from around the world have an appointment in Vitoria, they choose the Baskonia model in order to improve their basketball. The Buesa Arena and BAKH are the scenarios where these young kids work out an average of 8 hours every day in order to enrich their individual skills and progress in other aspects of the game thanks to a meticulous working method, directed by David Gil and performed by twenty experienced and highly qualified coaches, accompanied by physiotherapist, coordinators, court managers and monitors that make the stay unique and unforgettable. The 2015 International Camp comes full of new features regarding its format and working method. The most notable is the creation of the MiniBasket Camp which will be developed in the Buesa Arena the week previous to the beginning of the regular Camp, from June 21 to June 27. A week long specific workout intended for boys and girls born in 2004 and 2005. The new features in the working method come with the “Fast-break Workshop”. A specific training that will enable participants to improve their game time decisions in motion. The individual tactic circuit will be developed in the mornings alongside with another new feature, the “Shooting Workshop”, with drills for the improvement of shooting percentages. Both Workshops will count with the specific material for the proper development of the exercises. 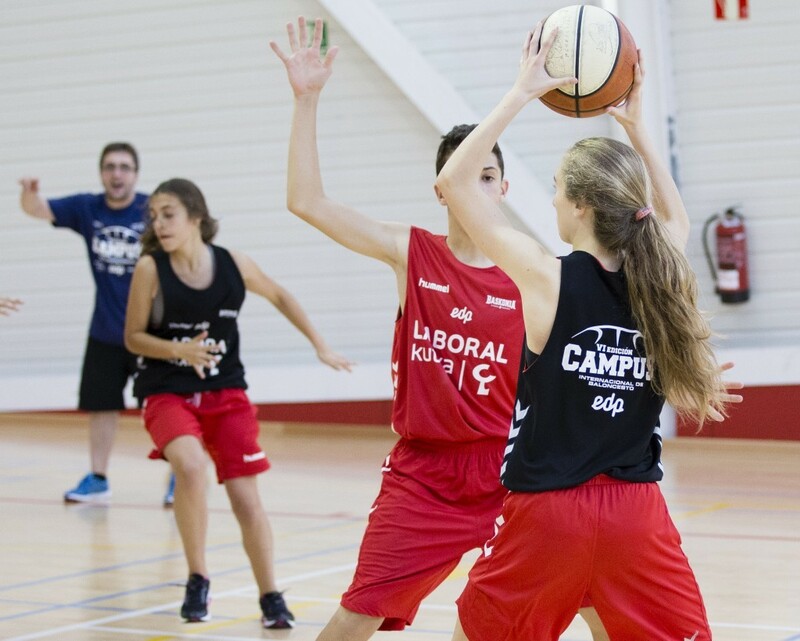 The CIBB also combines intensive basketball workouts for intermediate and advanced players with activities such as English and Spanish classes, basketball conferences, IT classes, leisure activities and free time. In 2015 the price of 390 euros per week for external participants is maintained. A week on full boarding regime costs 568 euros and to the price for two weeks a discount of more than 15 percent is applied. In addition, all those who make their payment before January 31, will benefit from a 5 per cent discount on the price. ZADOR: Street Cercas Bajas, 15. Zip Code: 01001 Vitoria-Gasteiz.